These GIANT Letters are exceptional focal points for any room. Don’t get our offer mixed up with most of the other inferior letters you may have seen at other events. These are 6FT TALL & fantastic quality. Warm white incandescent bulbs with diamante effect sun rays disperse across the font. Just look at the pictures below to see how big these bad boys are. 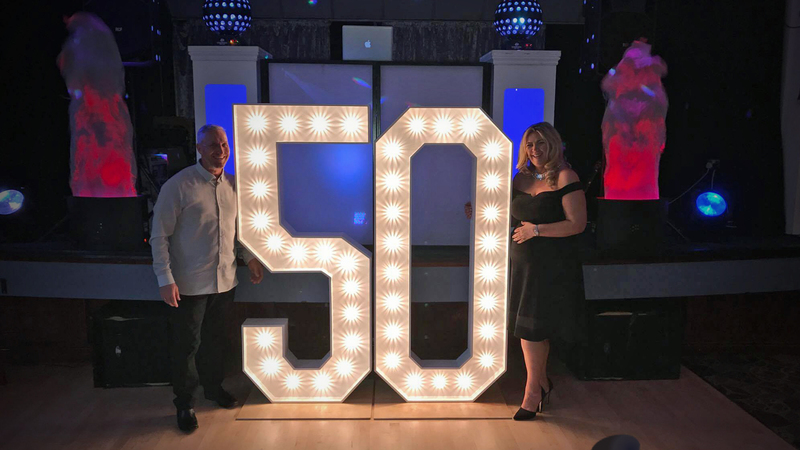 Supplied, set up & collection is included with our Giant Letters. They are PAT Tested & connected to a RCA Extension reel to protect you & your guests from nasty shocks. We also offer a few products that compliment these letters very well. 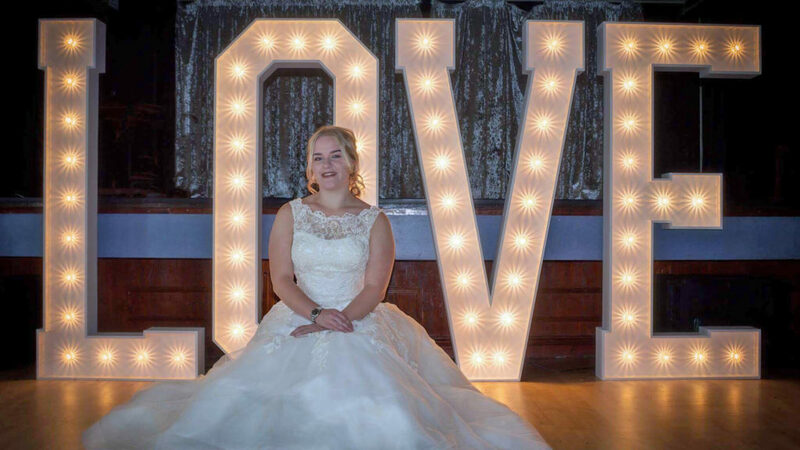 Check out our GIANT CINEMA LIGHT BOX, GIANT HEART 12ft x 8ft, GIANT MIRROR 6.5ft & Uplighters. Feel free to ask us for advice as we do a lot of Events & understand what will make an Event a success. We will never offer you services that we believe won’t add to your Event as we want to work with all our clients long term & build up a trust between us both so we can both prosper. 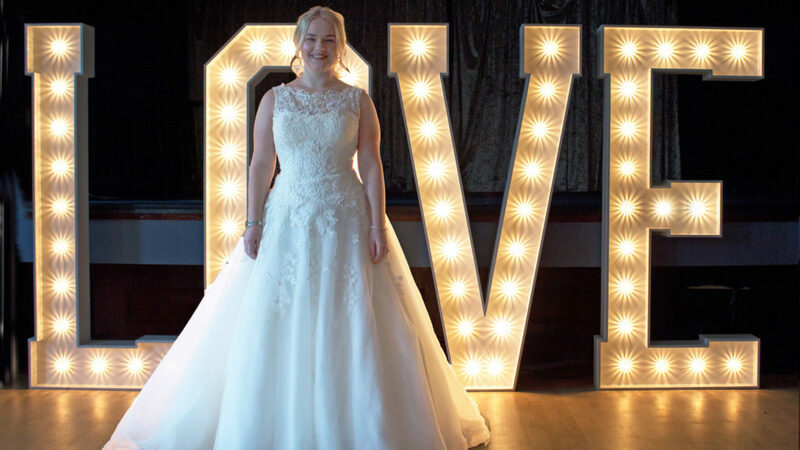 Giant Light Up Letters are very popular & you get a lot of bang for your buck in terms of lighting effect!! !